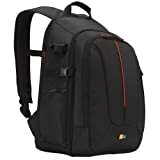 When you’re looking for a good all-around DSLR bag, a backpack is one of the best form factors around. They’re big enough to carry a significant amount of gear around, plus a full-sized laptop, and are comfortable enough to use all day. Finding the perfect camera bag isn’t as simple as finding the sharpest lens or fastest prime. The right camera bag is subjective. Do you need something rugged that can protect your gear from water and maybe a few drops, or something that is light enough to be used for street photography? 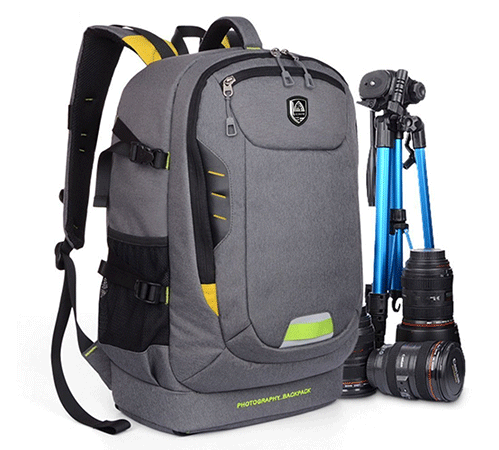 The BAGSMART camera backpack is at the top of the list. Made of 840D water-repellent polyester and sporting a leather bottom, the bag is both rugged and built to withstand any weather conditions. 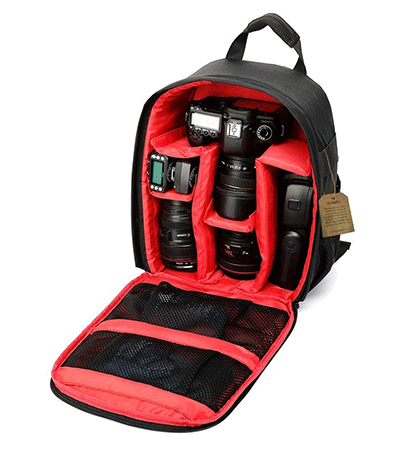 Inside, the padded camera compartment can be arranged however you want and supports a DSLR and 2-4 lenses with room for a 15-inch laptop. Accessing the bag is quick and easy. Unbuttoning the magnetic buttons on the straps opens the top of the bag and provides quick access to your camera gear inside. 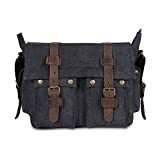 Unlike its smaller counterpart, the Caden Canvas DSLR camera shoulder bag is built with function in mind. The canvas material is durable and all-weather resistant, making it the perfect outdoor travel companion. The inner bag is removable and contains a rain cover for when it pours. Capacity inside the bag is great as it will fit your camera body, up to two lenses, camera accessories and anything else you can fit inside. 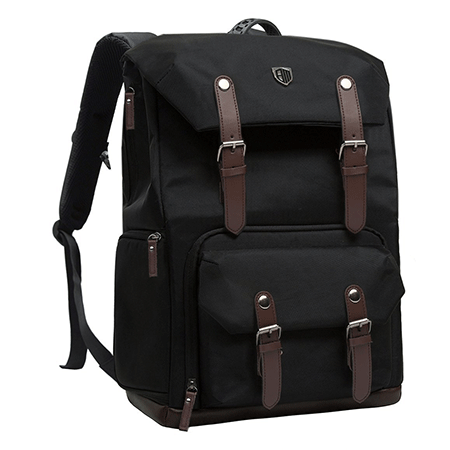 The Baigio black backpack is one of the more rugged-looking bags on our list. It’s constructed of Oxford fabric, making it waterproof and shockproof. The shoulder straps have airflow channels that allow good air circulation and have extra padding for added comfort. On the side is are some of the sturdier tripod straps we’ve seen, able to hold more than just a mini tripod. Inside you’ll find compartments hidden all over the place with plenty of padded protection. 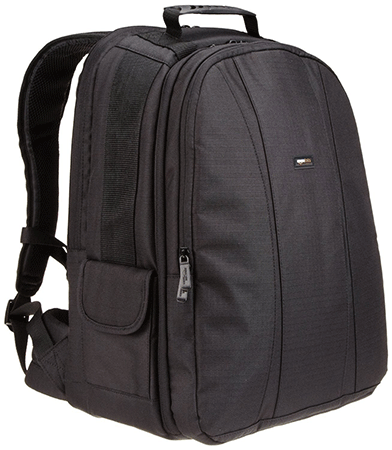 On the backside of the backpack is an integrated padded laptop pocket that will hold a 15.6-inch laptop. 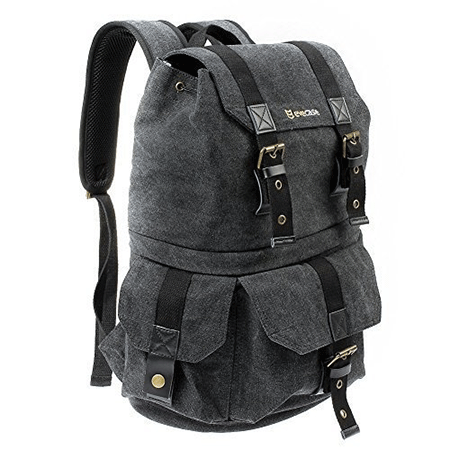 You can access the full pack from the top, which additional pockets that hold lenses and camera accessories at the top and bottom of the front of the bag. 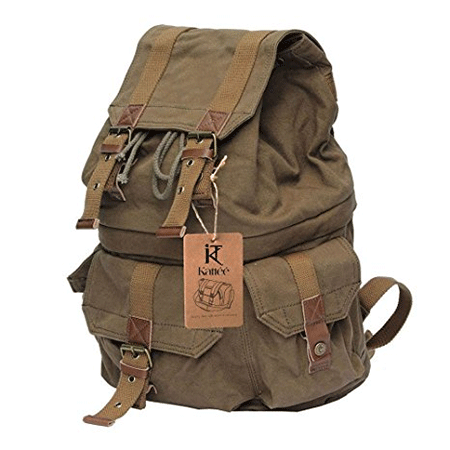 The Kattee Canvas DSLR camera backpack rucksack is exactly what you’d picture a professional photographer’s bag to look. It’s made of a rugged, pure cotton water canvas, which makes it soft but very durable. Concealed in the bottom of the bag is a rain cover for added water protection and the fasteners are made of cowhide. Inside, you’ll find two bag compartments that can be linked if extra space is needed. A camera body and two lenses can fit comfortably inside the bag while more can fit in the outside pockets but they’ll be open to weather exposure. 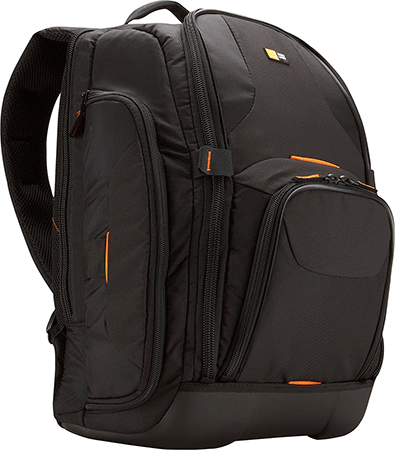 The i-Graphy camera backpack is a no-hassle bag that puts function over form. Opening the bag, you’ll find a partition for your camera body with a fast prime and six additional compartments that can fit more lenses and camera accessories. The inside partitions can also be removed to fit zoom lenses, too. The bag is 13.3” x 9.8” x 5.1”, making it on the larger end. The exterior is made of a durable weather resistant nylon and reinforced stitching to prevent tearing. Unfortunately, the backpack must be removed to access your camera inside as the top needs to be fully unzipped. 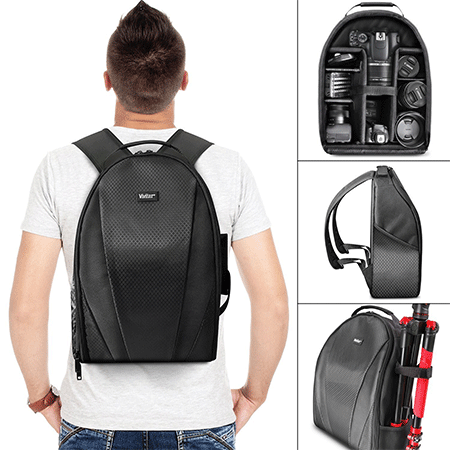 The Caden Professional Fashion DSLR camera bag doesn’t look like a camera bag at first glance. Depending on what you’re looking for, that could cross it off your list immediately or be the immediate winner. It has a detachable waist belt, adjustable strap, made of high-density robust Dacron fabrics and only weighs 2.7 lbs, making it one of the smallest bags on the list. 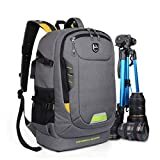 Its size makes this bag perfect for street photography and light travel as it will hold your camera body, two lenses, a 15-inch laptop and some room for books or tablets. Situations. 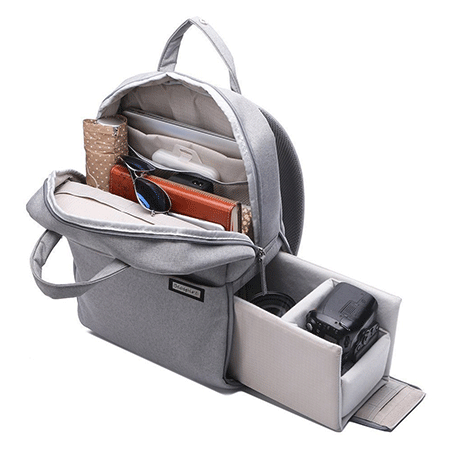 The middle compartment can be unzipped and the compartment removed, making it a fully convertible bag suitable for holding books, accessories, a camera body and two lenses. A rain cover is included for protection against inclement weather. The outside material is made of a durable water resistant canvas. The buckles that keep the bag closed are real buckles, but they can be a hassle to unbuckle at times. Having the camera compartments located at the bottom of the bag makes quick access nearly impossible. Only outdoor enthusiasts need to apply. 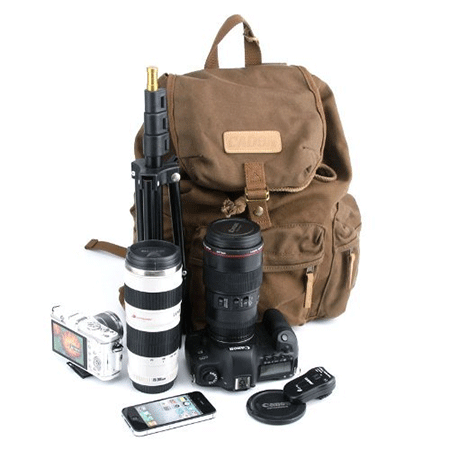 The Abonnyc DSLR backpack camera rucksack is a serious adventurer’s bag. Its durable build quality makes it waterproof and shockproof, and resistant to abrasion and extrusion. There is even more padding inside, adding extra protection for your gear. The padded insert comes with eight removable velcro cushions so you can arrange the back to custom fit your system. 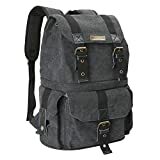 There is more space left over once your gear is packed up, making this the perfect bag to take on a short hiking trip. Big, multi-functional, and completely adjustable, the Yaagle Oxford camera bag is built from the ground up to withstand the elements. Inside, the camera partition has eight adjustable velcro cushions that can be arranged to suit your needs perfectly. At 30 W x 45 H x 19 D CM, the bag is large enough to fit a tripod on the side or be used as a big travel bag by removing the velcro cushions. Accessing your camera gear is done through the top of the bag, but the zipper makes getting to it a bit harder than if it had buttons. 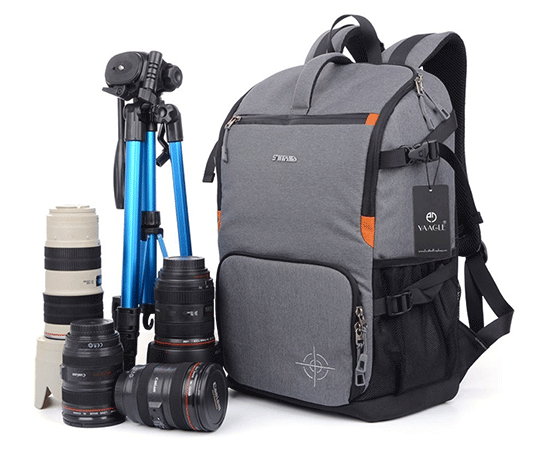 Versatility and function are the names of the game for the Vivitar Camera Backpack. It’s another no-frills backpack that favors extra storage over everything else. The sturdy and lightweight nylon material the bag is made of will keep your gear safe from water. It features two side compartments and a tripod holder, too. The inside is where all the magic happens. The inside camera compartment features an area for a camera body that can be expanded to include additional space for a zoom lens to be attached to the body. There are padded velcro cushions that divide the inside compartment however you need or can be entirely removed to fit larger lenses inside. The Peacechaos Bag combines a stylish design with practical function. It’s made of a high-density pure cotton canvas water wash, which makes it water resistant and durable, and it’s trimmed with Crazy Horse leather. The straps are made of cow leather and are pretty reliable. Inside is a little sparse, so if you’re looking for a big bag, this one isn’t it. You can fit a DSLR body and two additional lenses inside, but that’s about it. The inner back is padded and absorbs shock and vibration for added protection. Case Logic makes bags for everything, so it’s not surprising they’re good at making camera bags, too. 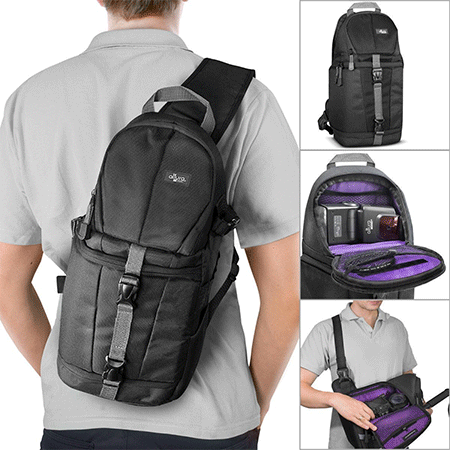 The DCB-309 is a heavy-duty backpack that can carry almost everything. It’s designed to fit up to two DSLR bodies with 2-3 additional lenses. Inside is customizable thanks to the removable velcro cushions. Behind the bag’s top flap is space to fit a 15-inch laptop, too, making this one of the more spacious bags on the list. The bag’s exterior is pretty muted. It’s made of a black nylon material that protects against water. 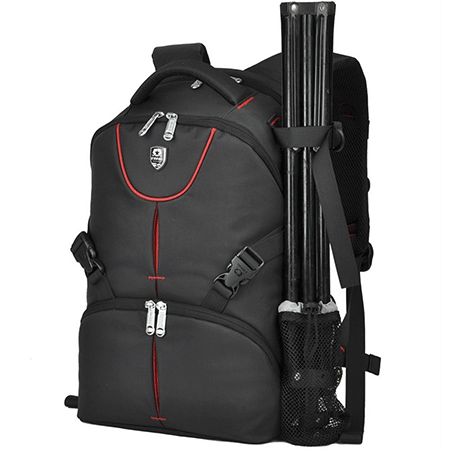 There are a few side pockets with straps on the side that will allow you to strap a small tripod onto the bag, too. Camera access isn’t as quick as we’d like, but it’s better than other bags like it that require you to unzip the entire bag to access. 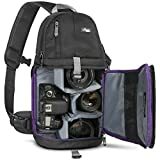 The Altura Photo Camera Sling Backpack is the only sling on the list, and not simply because of its stylish purple interior. It’s a multi-function sling that offers several configurable compartments with quick side access. The interior has mesh pockets to store small accessories and plenty of padding to provide excellent shock absorption. The outside is sleek and slender, unlike most of its competition on this list. The top compartment can be unzipped alone and is large enough to store a flash unit. Each side of the bag can also be accessed and provides quick access to your camera and additional lenses. It’s the perfect quick-swap bag. 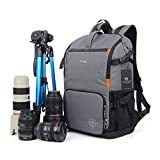 The AmazonBasics DSLR and laptop backpack was made to hold all of your photo gear and editing tools while you’re out shooting. Its design is a bit modest, but the function is its main selling point. The straps are heavily padded and adjustable, allowing you to wear it comfortably no matter where you are. You’ll be greeted with a bright orange or gray interior, depending on which you choose. A gray interior is ideal for setting white balance. Inside are customizable velcro cushions where you can fit a DSLR body, extra lenses and camera accessories. The Case Logic SLRC-206 is the second Case Logic on our list and narrowly beats the DCB-309 due to a slightly better form factor and its hammock system that suspends the DSLRP above the rest of the case, offering even more shock absorption. Like the DCB-309, the SLRC-206 has space for a DSLR body and additional lenses. 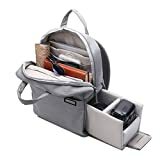 The velcro compartments swap around and allow you complete control over how you organize your bag, and the bag’s exterior is made of the same water resistant nylon material. Backpack bags for DSLRs come in many shapes and sizes, and you won’t find a single bag that is perfect for everyone. So it’s important to take stock of what features are most important to you and use them to guide you down your path to your next bag.